Ministry is a marathon: it’s not how you start but rather how you finish. In 2 Corinthians 4:1-18, Paul gives seven suggestions for finishing the race. He tells us to 1) remember God’s mercy 2) be truthful and honest 3) be motivated for work for Jesus’ sake 4) realize that Christians are human 5) develop a true love for others 6) allow time for inward rejuvenation, and 7) stay focused on the important things. This last advice comes down to keeping your eyes on the goal—just like a marathon runner approaching the finish line. For our church family, this marathon has been a three-year commitment to live by Daring Faith. With one month left in the giving campaign, our members are sprinting with a boldness to finish the race well. 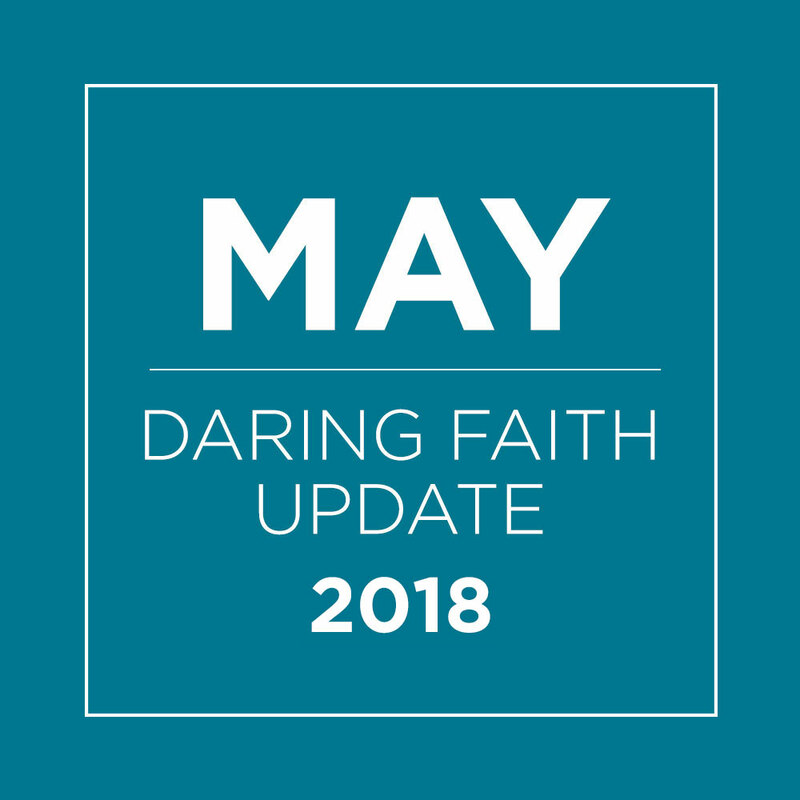 Read all the ways our church family has lived out an extraordinary example of Daring Faith this month! Memorial Day weekend is a time to reflect on the sacrifice of those who have served our country. It also marks the kick-off of summer at Saddleback Church. From May 27 through September 2, Saddleback will be hosting family-friendly events for kids, friends, and neighbors to enjoy together this summer. Click HERE to read how one underutilized space at Saddleback Lake Forest has turned into the epicenter for community and summer-time fun! Saddleback’s HIV&AIDS Initiative offers compassion, community, and real solutions for people living with and affected by HIV and AIDS. That’s why this month, our ministry team demonstrated God’s love by assisting people in need at the AIDS Walk of Orange County. Not only did our volunteers participate in the event, but 80 of our own students from Saddleback’s High School Ministry created 150 care packages to be handed out to participants. Click HERE to learn how Saddleback’s two ministries teamed up to share the message that we care about people living with HIV and AIDS. As part of Saddleback’s Military Ministry, Acts of Appreciation extends God's love to our military and their families whether they are as close as Camp Pendleton or as far as Afghanistan. Since its inception in 2009, Acts of Appreciation has grown from serving 600 troops to over 7,900 troops, plus their families! To honor this ministry, Brigadier General Sklenka invited high-ranking military officers and Saddleback’s Acts of Appreciation team to a special Commander Conference Dinner on May 17. Click HERE to read about the recognition he gave to this ministry for their faithful service. One in four couples have considered adoption or foster care at some point in their lives. That’s why this month, Saddleback launched the informational seminar, Exploring Adoption or Foster Care for My Family. Hosted at 15 of our campuses, these workshops are a place to get accurate information, simple overviews, and have questions answered in a no-pressure environment. Click HERE to find out how this seminar led to one couple expanding their family with foster children! Saddleback has always placed a high value on developing leaders through seasonal internships. This month, more than 50 interns committed to serving at Saddleback this summer as a way to glean from ministry leaders in our church. Students are offered school credit for their commitment, but that’s not the only benefit of participating in this powerful program. Click HERE to read the top five takeaways from the Intern Program—a stepping stone to a place where career and calling become one. When it comes to growing churches together on mission, the Purpose Driven Church is committed to serving leaders with healthy, effective principles founded on Biblical truths. That’s why this month, Saddleback Hong Kong hosted the Purpose Driven Church (PDC) Conference from May 23-25. During the three-day event, 240 leaders gathered from 7 countries, 20 cities, and 50 churches across Asia. Click HERE read how this single event marked the beginning of an Asian-wide PD fellowship network.